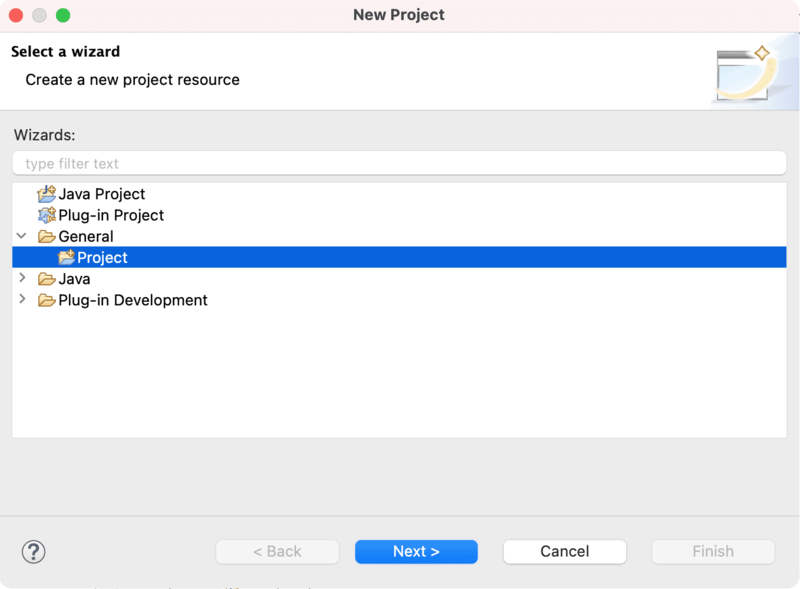 In the New Project wizard, select General > Project then click Next. 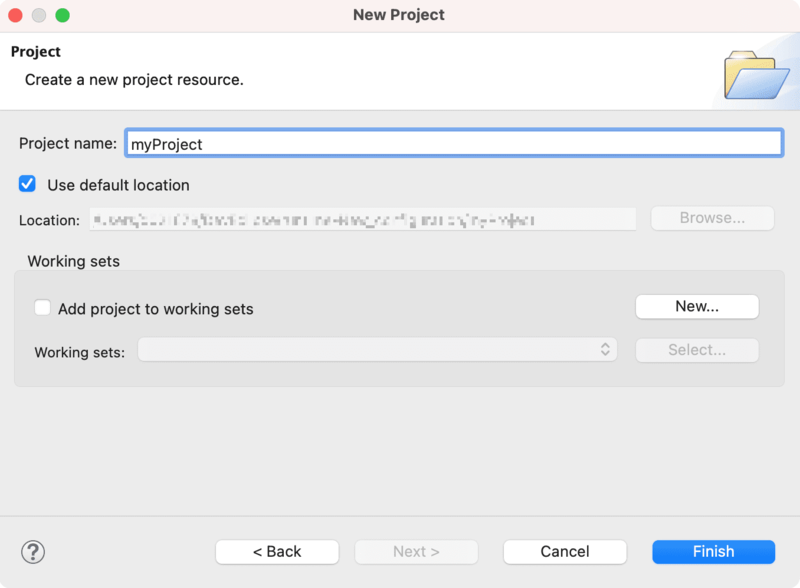 In the Project name field, type your name as the name of your new project, for example "JaneQUser". If you sneak a peek at the navigation view, you will see that it now contains the simple project we just created. 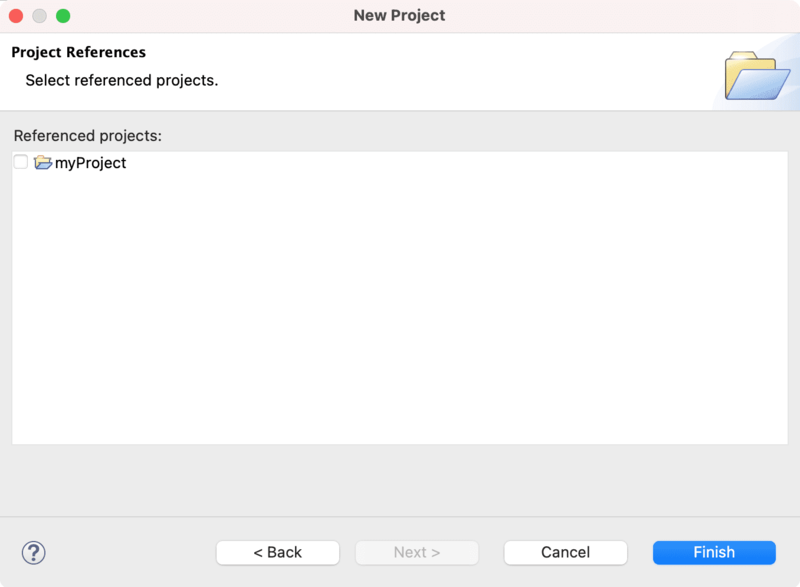 Create a second project called JaneQUser2 using the same steps, but instead of clicking Finish, click Next. At this point you can specify other projects that project JaneQUser2 depends on. Since we want to create two independent projects we will not select any of the projects in the Project References table. Click Finish to create your second simple project.